Special Cover on Birth Centenary of Smt. Indira Gandhi – 19th November 2017. Indira Gandhi (b. 19 November 1917 - d. 31 October 1984) was an Indian politician and the only female Prime Minister of the country. Born in the famous Nehru family, she was perhaps destined for an illustrious political career. She served as Prime Minister from 1966 to 1977 and from 1980 until her assassination in 1984. As Prime Minister, Indira was known for centralisation of power and political ruthlessness. Her political career was littered with controversies as well as allegations of highhandedness, corruption and nepotism. She clamped a state of emergency in India from 1975 to 1977. She was also criticized for carrying out the Operation Blue-Star in Punjab that eventually scripted her assassination on 31 October 1984. Indira Gandhi left behind her a lasting political legacy and her family became one of the most prominent political names in India. On the occasion of the Birth Centenary of Late Smt. 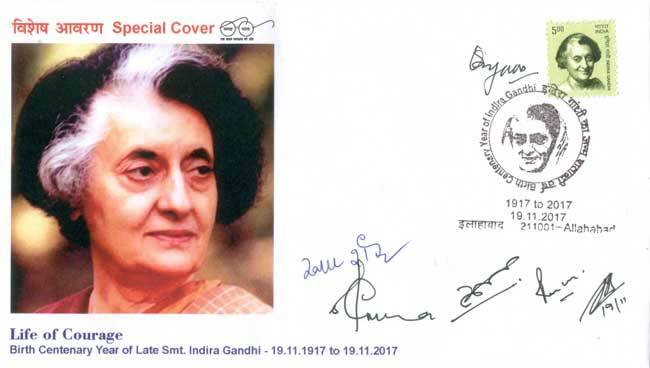 Indira Gandhi, a Special Cover was released at Allahabad on 19th November 2017 by Mrs. Roopa Shankar, Mrs. Samina Naqvi, Mr. Narsingh, SSRM of Post Office and Mr. Pramod Kr. Bansal, the President of Prayag Philatelic Society at the function held at Head Post Office, Allahabad. (Special Cover approval no. UP/17/2017). Special Cover on Inscription stones of Bengaluru – 14th November 2017. Inscription Stones of Bangalore' is a civic activism project to raise awareness and protect ancient inscription stones (shila shaasanas) found in the Bengaluru region. Inscriptions stones are original documentation of the people, culture, religion and language of the region dating back to as early as 750CE. Rampant urbanization in Bengaluru has led to destruction of a majority of the 150 stones in the old 'Bangalore' region which were documented by B.L. Rice and others from 1894 to 1905 in the remarkable twelve-volume series Epigraphia Carnatica. This project retraces the footsteps of B.L. Rice to protect and restore the dignity of the last remaining 25 'Inscription Stones of Bangalore'. A Special Cover was released on 14th November 2017 to commemorate Inscription Stones of Bengaluru. The cover depicts the oldest Kannada stone inscription in the Bengaluru region dated to about 750 CE (Ganga period) (Special Cover Approval No. KTK/87/2017). Special Cover on Bal Diwas – 14th November 2017. Children's Day (also known as Bal Diwas) is celebrated in India every year on 14th November. As Pandit Jawaharlal Nehru is very affectionate towards children, his birthday is celebrated as Children’s Day. Silicon City Academy of Secondary Education-ACSSE school, founded by Shri K. B. Lakshman in the year 2005 was built on a formidable mission to make a happy place for all children as "Joy of Learning" is the motto of the School. The school is providing quality education. Students are exposed to a well structured friendly teaching methodology that will help to shape their future in a positive way. 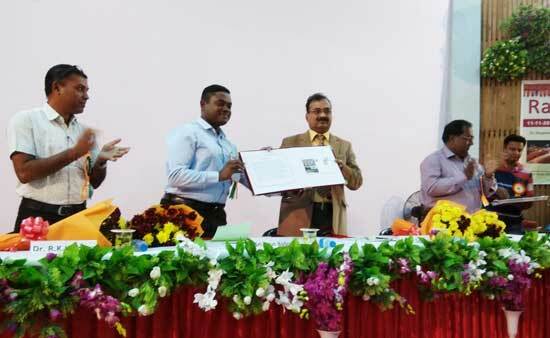 A Special Cover on Celebration of Bal Diwas by Silicon City Academy of Secondary Education was released on 14th November 2017 at Doddakallasandra, Bengaluru (Special Cover approval no. KTK/85/2017). Commemorative Stamps on Nest – 14th November 2017. 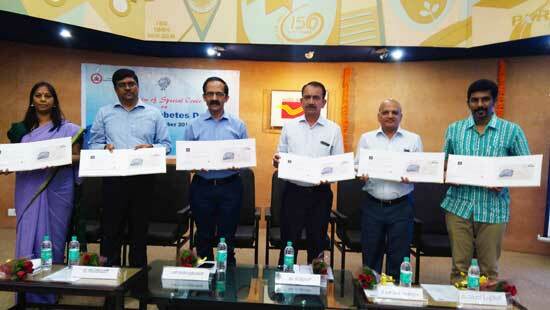 Department of Posts conducted nationwide stamp design competition on the theme of “Nest”. This theme was selected with an objective to enhance awareness of our natural surroundings in school-children, so as to inculcate a habit of protecting our natural resources and preventing any damage to the ecosystem, which in turn sustain the life cycles of the associated fauna. On the occasion of Children’s Day Department of Posts issued a set of two stamps and Miniature Sheets depicting ‘Nest’ in denomination of Rs. 15 each. Both stamp designs were selected from the winning entries of stamp design competition on the theme of ‘Nest’. Rajpex-2017, Rajkot District Level Philatelic Exhibition – 11th and 12th November 2017. 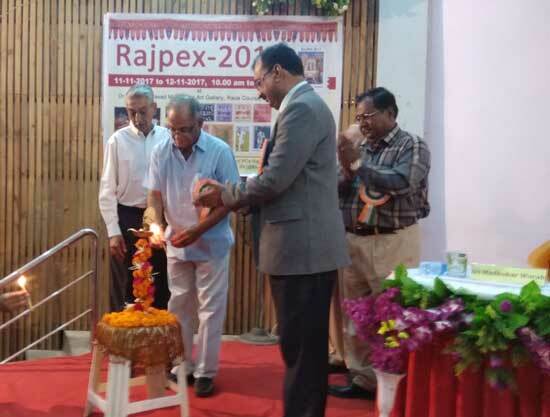 Rajpex-2017, the Rajkot District Philatelic Exhibition was held at Dr. Syama Prasad Art Gallery, Race Course, Rajkot on 11th and 12th November 2017. The exhibition was inaugurated on 11th November. Shri Niranjan Shah, former Hon. Secretary of BCCI and Saurashtra Cricket Association was the Chief Guest. 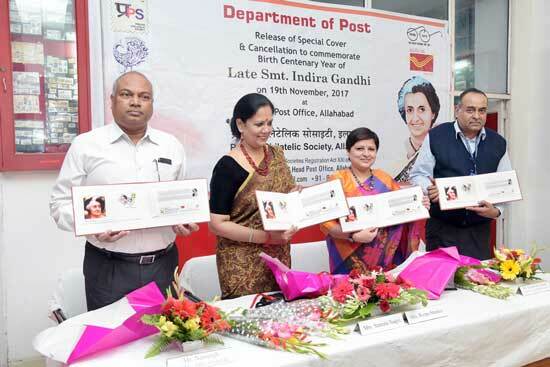 Shri B P Sarangi, Postmaster General, Rajkot Region presided over the function. The Competitive Class consisted of 21 Exhibits displayed in 55 frames out of which 31 frames were in Senior Class, 09 frames in Youth Class and 15 frames were exhibited in Invitee class. Shri L. C. Jogi (Sr. Superintendent of Post Offices, Rajkot), Mr. Prashant H. Pandya and Shri Jaydev Nansey, CE were member of Jury for Rajpex-2017. Two Special Covers were released during the two days exhibition. Special Cover on Saurashtra Cricket Association Stadium – 11th November 2017. Saurashtra Cricket Association Stadium, also known as the Khandheri Cricket Stadium, is a cricket stadium in Rajkot, It is Gujarat's first solar powered stadium. As of 19 August, 2017 it has hosted 1 Test, 2 ODIs and 1 T20I. It is a state of the art cricket stadium. The media box here is similar in design to the one at Lord's Cricket Ground, London. To facilitate spectator movement, there are several aisles between seat columns and lots of entrances/exits for the three stands. There is also a spacious passage running around the stadium, between the stands and the outer wall, to enable easy movement. 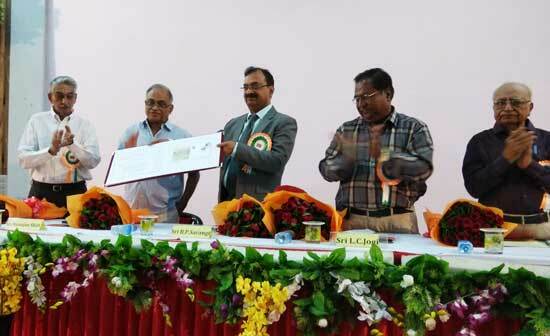 A Special Cover was released by Shri B. P. Sarangi, Postmaster General, Rajkot Region and it was received by Shri Niranjan Shah former Hon. Secretary of BCCI and Saurashtra Cricket Association. Special Cover on Pradyuman Park – 12th November 2017. Rajkot is blessed with lots of natural beauty and environment friendly places. Due to this effect, tourism is contributed by plethora of tourism sites. One of the popular spot of attraction in Rajkot is Pradyuman Zoological Park or Prani Sangrahalaya. Pradyuman Park is one of the finest places of tourism spread over the area of 137 acres. It is situated in the mid of natural habitat along with touching surface of Lake Lalpari and Randarda Lake. In the short span of time, it has become the leading picnic spot for the residents of Rajkot. A Special Cover on Pradyuman Park, Rajkot released at Rajpex 2017 on 12th November 2017. Special Cover on National Cancer Awareness Day – 7th November 2017. National Cancer Awareness Day is observed across the country on 7th of November every year. National Cancer Awareness day was celebrated by Kidwai Cancer Institute on 7th November 2017. Kidwai Cancer Institute is an Autonomous Institute of Karnataka with 650 bedded comprehensive cancer centre with latest state-of-art facilities treating poor patients since 1973. It is recognized as Regional Cancer Centre and identified as State Cancer Institute (SCI) by Government of India. Lt is recognized as an advanced centre for cancer research and training by WHO, UICC, ICMR, DST, AERB etc. 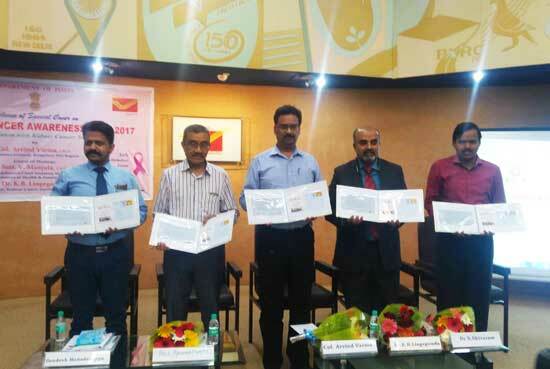 A Special Cover was released on the occasion to mark National Cancer Awareness day at Bengaluru by Col. Arvind Varma, Post Master General, Dr. Linge Gowda and Prof. Krishna Murthy of Kidwai Cancer Institute and Mr. Sandesh Mahadevappa, Senior Superintendent of Post office and Dr. S. Shivaram CPM GPO, Bengaluru on 7th November 2017 (Special Cover Approval No. KTK/83/2017). 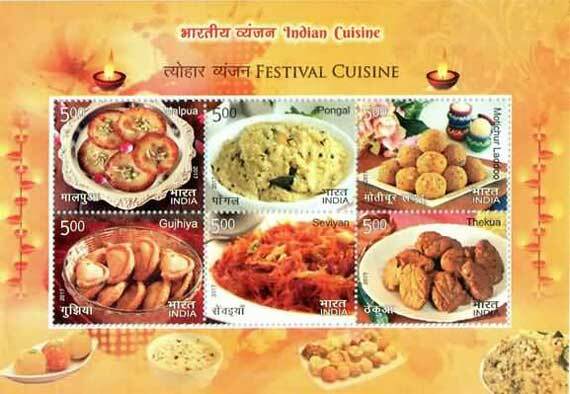 Commemorative Stamps on Indian Cuisine – 3rd November 2017. The cuisine of India is one of the world's most diverse cuisines, characterized by its sophisticated and subtle use of the many spices, vegetables, grains and fruits grown across India. 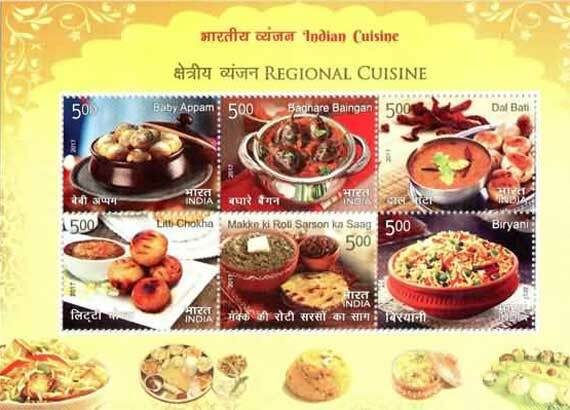 The cuisine of each geographical region includes a wide assortment of dishes and cooking techniques reflecting the varied demographics of the ethnically diverse Indian subcontinent. India's religious beliefs and culture have played an influential role in the evolution of its cuisine. Vegetarianism is widely practiced in many Hindu, Buddhist and Jain communities. 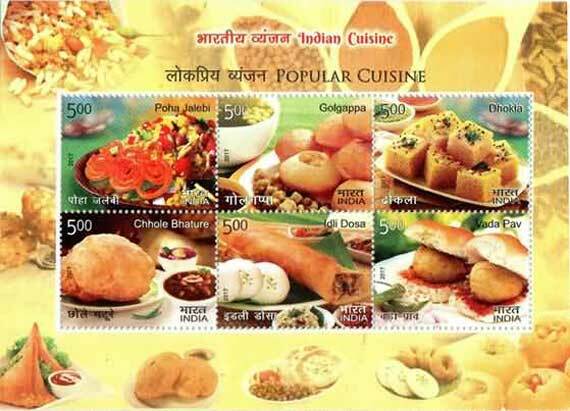 Indian cuisine has also influenced cuisines across the world, especially those of South East Asia. It is now one of the most popular cuisines across the globe, enjoyed not only among the large Indian diaspora but also by the general population in North America, Europe, Australia and parts of Africa. 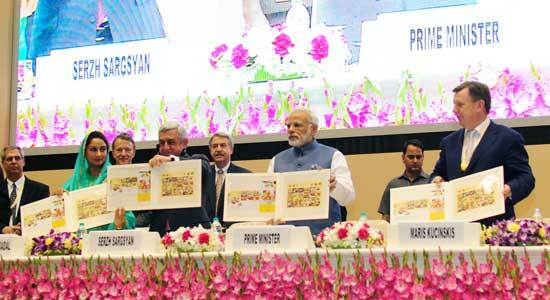 The Prime Minister, Shri Narendra Modi released set of 24 commemorative stamps and Miniature Sheets on Indian Cuisines, at the inauguration ceremony of the World Food India 2017, in New Delhi on 3rd November, 2017. 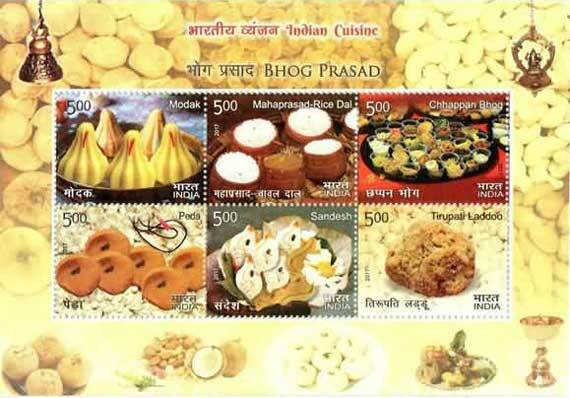 The stamps depict Bhog Prasad dishes including Modak, Mahaprasad - Rice Dal, Chhappan Bhog, Peda, Sandesh, Tirupati Laddoo; Festival Food which includes Malpua, Pongal, Motichur Laddoo, Gujhiya, Seviyan, Thekua; Popular Food viz. Poha Jalebi, Golgappa, Dhokla, Chhole Bhature, Idli Dosa, Vada Pav and Regional Food which includes Baby Appam, Baghare Baingan, Dal Bati, Litti Chokha, Makke ki Roti Sarson ka Saag and Biryani. Commemorative Stamps on Kavi Muddana, Adikavi Nannaya and Draksharamam Bhimeswara Temple – 1st November 2017. Kavi Muddana (b. 24 January 1870 – d. 15 February 1901) - was a Kannada poet and writer. He was also known as Mahakavi or Mahakavi Muddana. His name at birth was Lakshmi Naaranappa. His birthplace being Nandalike, he is sometimes also known as Nandalike Lakshminaaranappa. His best-known works include Ratnavati Kalyaana (Yakshagana), Sri Rama Pattaabhisheka, Adbhuta Ramayana and Sri Ramashwamedha. He coined the word kannadam Kasthuriyanthe, where he heartily compares his beloved language kannada to kasthuri. Adikavi Nannaya Bhattaraka (sometimes spelled Nannayya or Nannaiah; ca. 11th century AD) is the earliest known Telugu author, and the author of the first third of the Andhra Mahabharatam, a Telugu retelling of the Mahabharata. Nannaya is held in high regard as the person who revived the Telugu language. This work, which is rendered in the Champu style, is chaste and polished and of a high literary merit. Daksharamam is a town in East Godavari district of the Indian state of Andhra Pradesh. The Draksharamam Bhimeswara Swamy temple in this town is one of the five powerful temples of Lord Siva, known as Pancharama Kshetras. Draksharamam is one of the 18 Shaktipeethas. It is famous as both Shiva kshetra and Shakti kshetra. Lord Bheemeswara swamy and Manikyamba mata are main the deities here. This place is also called as Dakshina Kasi. When a piece of Shiva linga fell here during Tarakasura vadha, first it was worshipped by Lord Sun. The Siva Linga in this temple is said to be one large crystal which is 18 Feet high. Shiva is accompanied by Dakshayani, who is the first wife of Shiva (also the daughter of Daksha, and therefore named Dakshayani). Manikyamba goddess, said to be one part of the 18 pieces of Sati Devi that fell here, is a Shakti Peetha. It has one of the world's longest siva linga. Commemorative Stamps on Kavi Muddana, Adikavi Nannaya and Draksharamam Bhimeswara Temple were released on 1st November 2017.